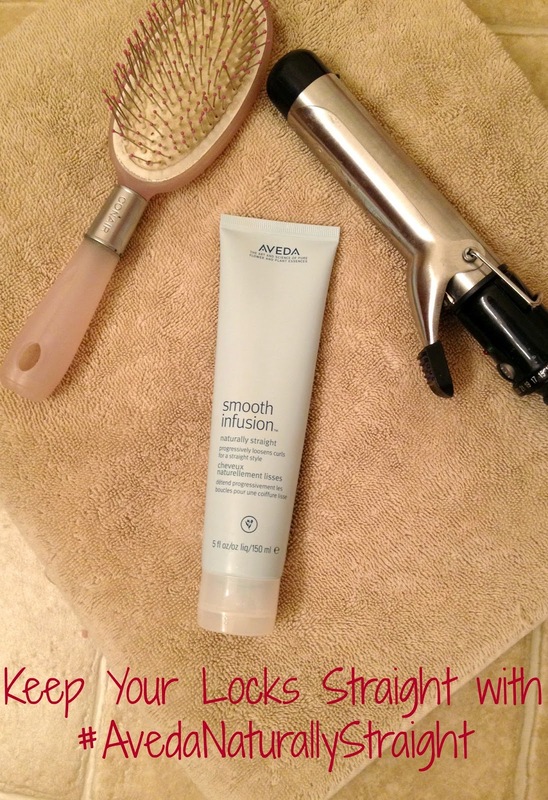 Disclosure: I receieved a complimentary product from SheSpeaks and Aveda for my review. All opinions are 100% my own. Remember when I have to be a school for 7:20 meetings three times a week? Yes. This is a true story. I'm also completely cray cray and get up to workout many days starting bright and early at 5:15. Seriously, what am I thinking? Well usually by the time I roll out of bed, get my workout on and then jump into the shower I have approximately 25 minutes to get my hair and makeup done, get dressed, make my coffee and sprint out the door. So it's all about time management my friends -- work smarter, not harder. 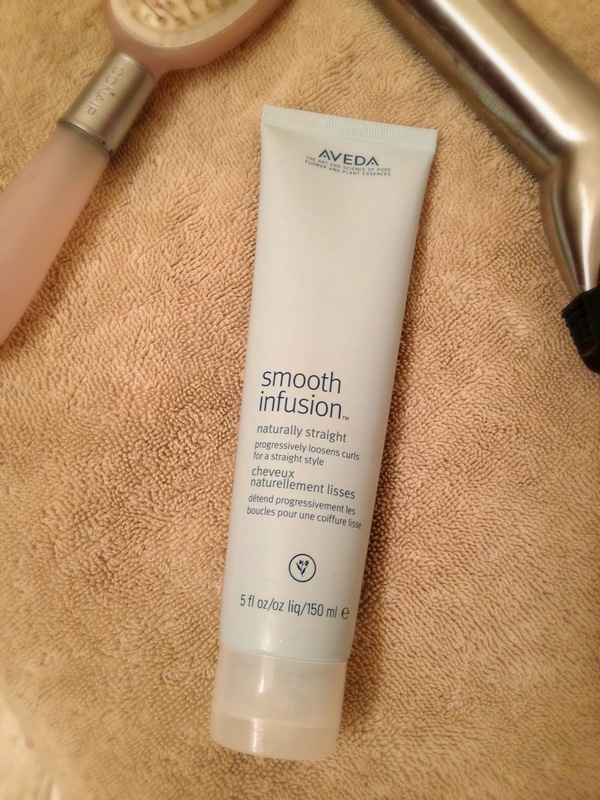 I was excited to try out Aveda Smooth Infusion Naturally Straight. While my hair isn't curly it does have this terrible kink with mega frizz balls. Last spring my flat iron went kaputs and I haven't gotten around to getting a new one. The problem with this situation is my hair needs a good heat element to take away my frizzles, especially on those days when I am in a rush. What I love about the Aveda Naturally Straight is that I can smooth it over my damp hair and blow dry my locks straight like I normally do. My hair is seriously smooth as silk and frizz free. After five consecutive uses your hair will stay straight for up to three washes too! As much as I love Aveda products, this one is a heavier product but I just use about a dime size of the cream and it doesn't weigh my hair down at all. I can even go a day or two and my hair is still as silky smooth, soft and straight as the first day I used it. Check out Aveda's website to find a retailer near you -- trust me, you'll heart it as much as I do. What are your favorite hair products to keep your locks stunning? I would definitely give it a try. Keeping my hair straight is a challenge! My hair is dead straight already, I need to give it more body! I wish I had the same results. I used it 7 times and my hair was still frizzy and had plenty of curl to it. I had to still flat iron it and it didn't stay straight. I'm glad it works for some people! I haven't heard of Aveda before. That's great that it worked well for you.